Which City Locksmith In Houston Do You Trust Your Locks To? Which City Locksmith Do You Trust Your Locks To? Home > Locksmith Services Houston > Things To Know About Locksmiths > Which City Locksmith Do You Trust Your Locks To? In a large city, there are locksmith shops all over the map, but it’s not always obvious which ones can be trusted, and which ones are certified for a range of tasks. There are, of course, the traditional ways of searching for a professional, like looking at online reviews and word of mouth. These don’t always prove to be useful, though, and sometimes it is up to the consumer to make a smart decision, even when they are in the middle of an emergency, which is usually the case when someone can’t get into their home or vehicle. What should a property owner look for in a city locksmith? With plenty of professionals to choose from, what can a property owner do to separate the talented, reputable shops from everyone else? Although it may not seem like a big deal, a shop with a local presence is always a good place to start. Local shops don’t have the luxury of catering to a national consumer base, so they have to build their reputation up in the community. It would be difficult to build that reputation up if the shop was going around ripping people off, so property owners can normally get fair pricing from professionals in the community. Beyond that, what is the mark of a good city locksmith? They are dedicated to their craft – The most respected name in industry training and certification is the Associated Locksmiths of America (ALOA). Membership in the ALOA is a good sign that a shop takes its job seriously. Property owners can locate a shop in any city through the ALOA, as it maintains an active database of all of its members. 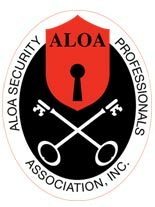 ALOA offers extensive training resources to its members, so if a property owner needs advanced skills, such as help with electronic locks or cracking open a safe, the best place to turn is to certified firms. They take great pains to provide a fair, professional experience – If a shop has racked up positive ratings online, then they are likely dedicated to customer service. Customer service, in the form of transparent communication, is an essential quality in a professional. Any estimate should come with a clear fee breakdown, along with paperwork that confirms the job’s terms. Responding professionals should have identification on them, and professionals should be equipped with any tools needed to complete the job quickly. They are looking to build a long term relationship – Reputable shops don’t just access homes, businesses and vehicles. They can provide excellent insight into a range of security concerns, making them something of a security consultant. This kind of insight can be invaluable to a property owner over the long haul, especially for business owners. Reputable shops are happy to play this role for a property owner, and assist with any security needs they have. Those are the signs of a reputable professional, and even if a property owner is caught in a tough spot, they should be able to choose a company to work with.